If you have a lot of DVDs and an iPod touch, why not put these DVDs onto this handset-like device for more portable recreation? If you are running on Windows OS, the best free DVD to iPod 5 ripper is at your order. Compared with iPhone 5, the release of iPod Touch 5th Generation (although shared with the same number 5) seems to be much more low-profile with more obscure attention. With the flag “Engineered for Maximum Funness” above Apple iPod Touch’s door, iPod touch 5G is still the must-have gadget for trendsetters. 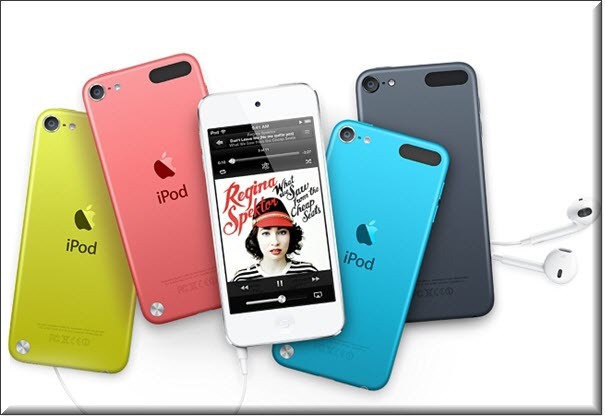 It is brilliant that the new iPod touch 5th Gen comes out with six colors. Besides the colorful casings, it is also a solid choice watching videos on the new iPod Touch 5G because of Apple EarPods, A5CPU and 4-inch Retina Display all that make the sound and image effect crispy and distinct. Besides, similar to iPhone 5, iPod Touch 5 will also sport a resolution of 1136x640, beating the displays of the current iPod touch by almost 200 pixels. Watching DVD movies with vivid content and high video quality on iPod 5 is lossless video enjoying method, especially when there is a free DVD to iPod 5 ripper. The best free DVD to iPod 5 ripper should devote to convert various DVDs to the videos supported by iPod touch (5), such as MPEG-4 and H.264. WinX DVD Ripper, seemingly as its name implies, is for Win XP OS. Indeed however, it is the best DVD rip and conversion freeware for all Windows users, even that of the Windows 10 . WinX DVD Ripper is the best free iPod 5 ripper for all Windows (PC) users: first of all, it accepts homemade DVDs, region code protected DVDs and many other DVDs as the source. Besides, it can output them in ways as diverse as you can list. For example, it can free rip DVD to iPod (iPod 5 included), iPhone , Apple TV, HTC, Samsung and PSP, or differently convert DVD to MP4, MPEG, WMV, FLV, MOV, MP3 and so on. First, you should go to the official website to download WinX Free DVD Ripper, please make sure of at least 100MB free space for installation. Then find the downloaded file and install this best free DVD to new iPod touch copier/ripper. Preconditions: only if you have a DVD (even DVD folder is OK), and a computer with DVD-ROM and 512MB or above RAM. Or else, click on “+Folder” button to browse, without inserting the disc, if you have DVD folder stored on your hard drive. B: Choose “to iPod” tab, the first one on the second line in the output format section. Once clicking on it, you will find the profile setting changes to correspond the chosen format/device, then you are free to choose MPEG4 or H264 as output video format with different resolution (which decides the output file and quality). For playing DVD on iPod touch 5G at 1136x640, the “1280X720 Widescreen H264” option is suggested. C: Then, just simply hit “Start” button and set to go. A: Use the same way to import DVD video from your DVD disc or folder. B: Choose “to MP4”, the first option on the first line in the output format section. But please input the number 1280 and 720 respectively for the W:H (Width:Height) for the video resolution. Both of the ways can free rip DVD to iPod touch 5G on PC, but you may find it, easy to use though, does not support strictly encrypted (e.g. Disney) DVDs. That is to say, if you are an advanced user with higher demand on DVD copy and backup, it is not the best choice. Please upgrade it to platinum version (WinX DVD Ripper Platinum), which can rip all DVDs, even copy the latest copy protected DVDs The Hunger Games and Inside Out (FOR PERSONAL USE ONLY). These DVDs can be converted to iPhone 6s and iPod 5 with ready-made profiles! Besides, it provides more output formats for you to choose, including AVI format and iPad. The ultimate DVD ripper software capable of ripping the content of DVDs to a wide range of mainstream video formats, such as DVD to AVI, MP4, MPEG, WMV, MOV, FLV, AVC, TS, MTS, M4V, etc. Users can also painlessly rip DVD (even encrypted DVD) to iPhone, iPad, iPod Touch, Apple TV, Android, Microsoft, WP8, Surface Tab, Xbox, Samsung Galaxy, HTC, Sony PS4, as well as general mobile phones and tablets. Also fast backup DVD to DVD folder, ISO image and MPEG2 video files.